Warner Bros. Interactive Entertainment and Red Barrels today announced a worldwide distribution agreement for Outlast Trinity, a physical bundle that packages the upcoming Outlast 2 with Outlast and Outlast Whistleblower downloadable content. Outlast Trinity will be available in the UK on the 28th of April for the PlayStation®4 computer entertainment system, Xbox One and PC, the same day Outlast 2 launches on digital platforms worldwide. "We've been lucky to have such an amazing fan base, and none of this would have been possible without their support," said Co-Founder Philippe Morin, Red Barrels. "Ever since we released Outlast in 2013, a physical version has been one of the top requests, so we're obviously thrilled to finally give people the entire series in one bundle of terror." The original Outlast game released in 2013 and takes place in the remote mountains of Colorado where horrors wait inside Mount Massive Asylum. A long abandoned home for the mentally ill, Mount Massive Asylum was recently re-opened by the “research and charity” branch of the transnational Murkoff Corporation, and has been operating in strict secrecy. Acting on a tip from an anonymous source, independent journalist Miles Upshur breaks into the facility and what he discovers walks a terrifying line between science, religion, nature and something else entirely. Once inside, his only hope of escape lies with the terrible truth at the heart of Mount Massive. 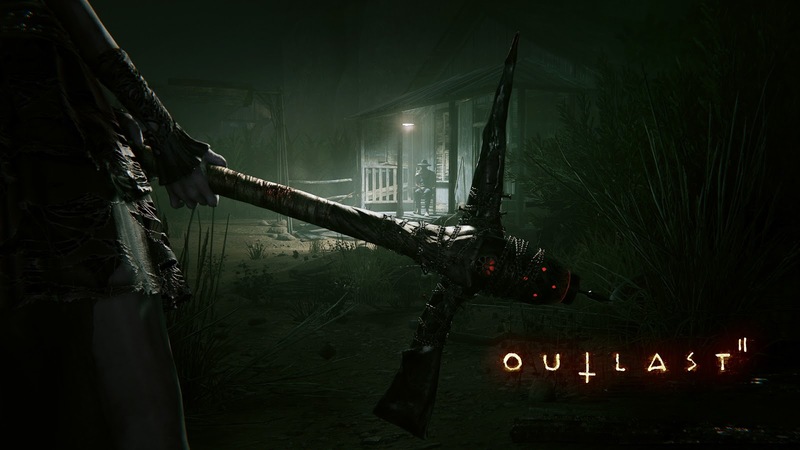 Outlast Whistleblower is DLC that tells the story before and after the events of Outlast to show the final chapter in Mount Massive Asylum’s story. Players take on the role of Waylon Park, a software engineer under contract with Murkoff, who identifies with the poor souls housed in the facility. Fuelled by his anger, the stage is set for the unmasking of Mount Massive's rotten core.